On Thursday night, the Hoover Board of Education became the first school system in Alabama to adopt a fee structure to charge fees to students to ride school buses to and from school every day. Superintendent Andy Craig told the board the U.S. Department of Justice (DOJ) blessed the fee schedule. Ubiquitous school board attorney Donald Sweeney declared that Craig had convinced the DOJ of the financial trouble the school district is struggling through and that while the U.S. District Court still had final say, chances were good that the fee schedule could be implemented as presented. Long-time Hoover board member Donna Frazier expressed her excitement at their foresight in leading the way for other school systems to adopt bus fees as well, saying that many school districts, including Huntsville City and Mobile County, were following closely in order to adopt their own fee schedules for bus riders. She was absolutely giddy to give districts a new revenue stream. Here’s the fee schedule the Hoover board approved. “NSLP” refers to the National School Lunch Program. Many details must be worked out, including how to track who paid and who didn’t, when to collect the fees, setting bus routes….which may prove difficult to do not knowing whether families will be able to afford paying those fees. The Hoover school community was caught off-guard, as the draft agenda for the meeting, released less than 24 hours prior to the 4:00 work session held immediately preceding the board meeting, made no mention of the fee-based proposal. Read this to see the switcheroo school officials pulled to keep from letting the community know this would be voted on at the meeting. While these folks work this out, I thought it might be helpful to look at two district’s attempt to collect fees and how each abandoned the fees in a short period of time. In each of these two examples, the school district had asked the community to increase its property taxes. Communities voted no. In each case, the community asked the school district to review how it spent tax dollars and make transportation a priority. We’ll also take a look at what effect charging fees had on student enrollment. Keller ISD, a 33,000-student, 39-school, $300-million district northeast of Fort Worth, Texas, made the decision to charge bus fees prior to the 2011-2012 school year. They had experienced explosive growth, with student population growing from 23,000 students to 33,000 students in seven years. Keller uses Durham School Services to provide transportation services. Initially, they had considered eliminating bus service altogether, but decided to charge a fee instead. The initial fee was set at $185 per semester, with discounts for multiple children and reduced fees for students eligible for free or reduced lunch prices. About 20%, or 7,000, of the district’s students relied upon buses to transport them to and from school. However, during the first year of implementation, only approximately 3,000 students chose to sign up for buses, causing the traffic nightmares Hoover parents inevitably face. The superintendent who proposed charging fees for buses left in March 2012 to take a superintendent job in Arizona, stating that he had not been searching for a job, but was approached by the Arizona district. A new superintendent arrived in Keller ISD at the beginning of the 2012-2013 school year. The logistics of putting enough students together to justify a bus route proved challenging. One example from the start of the 2012-2013 school year shows parents and kids were left at the curb when the bus didn’t show, even though they had paid their then-$175 per semester fee. It turned out that not enough riders had signed up to justify routing a bus. Fifty riders had to sign up. Only 11 did. No one notified the parents. The district ended charging fees for buses for any children living more than 2 miles from the school at the start of the 2013-2014 school year. Students living within two miles of school can pay a $75/semester fee to ride the bus. No discounts are offered for children eligible for free or reduced lunch prices. Two school years. That’s all it took. Seven months. That’s all it took for Franklin Township to approve, then abandon bus fees. This academic paper does a good job of telling the story of Franklin Township, a 9,000-student district just outside of Indianapolis. The district shares a similar history and demographic growth to Hoover — fast-growing, increasing ethnic and socioeconomic diversity. Franklin Township had twice attempted to raise taxes, once in 2009 and once in 2011, to cover proclaimed shortfalls, and both times the citizens rejected the tax increase. For two years prior to making the decision to charge for buses, school district officials warned the community that big budget cuts were on the way if tax increases weren’t approved. 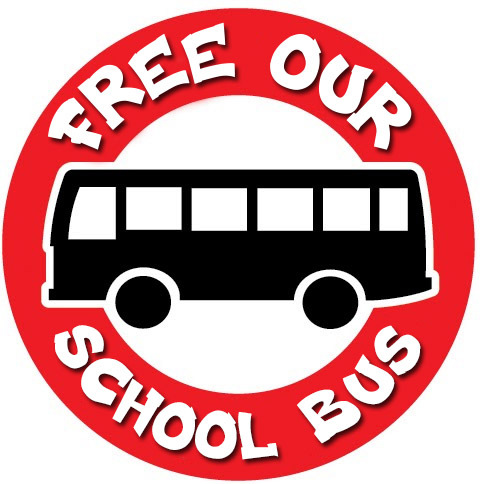 Their board voted in June 2011 to begin charging bus fees (approximately $47 per month for the first child, $44 for each additional) at the start of the 2011-2012 school year. Transportation had previously been provided at no cost, using district-employed bus drivers. Children eligible for free- or reduced-price meals paid lower bus fees. Though it was difficult for parents to claim they were caught off-guard, they asked the same questions Hoover parents are asking: how can a school district so rich in all of the goodies and extras not be able to afford to transport children to and from school? A board member resigned. A lawsuit followed. The state’s Attorney General issued an opinion stating the fees were illegal, but that didn’t carry the force of law. Traffic was terrible, ridership decreased….in general, it was exactly the kind of fiasco Hoover families predict will occur in their community. (3) allowed districts to use money from their General Fund to pay for transportation (not previously allowed). The third bill also mandated that any school district that chose to end its transportation program must either give at least three years’ notice, or receive a waiver from the state department of education. The district restructured its long-term debt. The superintendent announced his plans to retire in March 2012. A new superintendent was named in June 2012. By the start of the 2012-2013 school year, the pay-to-ride fee program was abandoned. Both districts saw an impact on enrollment. In the charts below, the year(s) where bus fees were charged are highlighted in red. Each state uses different names for their demographic groups. These charts depict only racial/ethnic groups and poverty indicators. No, this isn’t a statistical study. This is a glance at what student enrollment looked like before, during, and in one district, after the experiment with bus fees. 7222 minus 7079. That equals 143. Divide that by 7079. That equals .02, or 2.0%. 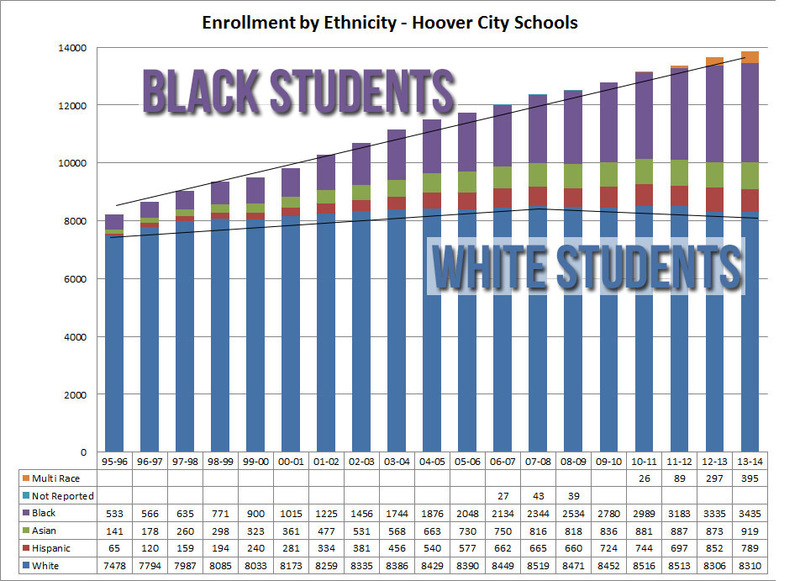 That number, expressed as a percentage, is the proportional change in white students from one year to the next. It gives us a quick idea of how demographic groups within a school district are growing or declining. If I were a statistician, I would be talking about significance and p-values. I am not a statistician. Let’s look at the proportional changes. The number of white, Black and multiracial children peaked in 2009-2010 and declined in the following two years. Since the decision to charge for buses was made in 2011, the district has lost a total of 455 enrolled students. The year bus fees began, overall enrollment dropped by 5.3%, but as a proportion, black students dropped nearly double that of the overall district. Children eligible for free meals and children paying full price for their meals decreased at nearly the same proportion. When fees were abandoned, the following year saw a 128-student, or 1.5% increase. When fees were abandoned, the following year saw a higher proportional increase in students eligible for free meals than for students eligible for reduced meals; the proportion of students paying full price for their meals continued to decline. The largest sheer number of students in each group that increased in number were Hispanic (49), white (33) and multiracial (23), but as a proportion, Hispanic, black and multiracial children increased at a higher rate. The Hispanic student population is the only demographic group that has not declined in number in any year on the chart. The growth in the proportion of students who were economically disadvantaged slowed considerably in the two years where bus fees were charged. The proportion of students who are Native American, Hispanic, and Caucasian dropped in the two years where bus fees were charged. The actual number of Caucasian and Native American students peaked in 2009-2010 and has declined each year since that time. Even after the introduction of bus fees, the actual number of Asian/Pacific Islander and African American students continues to increase, though at a slower rate. At the first district-sponsored public forum after the elimination of school buses was declared, Craig stated he had looked at other districts that had eliminated buses and found that it did impact enrollment. He added that short-term declining or flat enrollment would be financially positive for the district. Given the brief look at the two school districts who tried, then abandoned charging students to ride the bus to school, one can’t help but wonder if this decision by Craig is a student-enrollment manipulation mechanism or a purely financially motivated decision. Yes, there are districts who are charging fees for buses who have done so for quite some time. Five states provide no state funding for buses: Massachusetts, Nevada, New Hampshire, Rhode Island, and Vermont. It is likely that families in those states have grown accustomed to and budgeted for bus fees. They also have likely chosen their homes with an eye to how much those bus fees might be. Charging fees to ride school buses is a brand new thing for Alabama. Whether or not Hoover City Schools will be successful in implementing this fee remains to be seen. State Superintendent Dr. Tommy Bice stated that representatives from Hoover schools and the state department will meet next week to discuss this. The purpose here was to show these two districts, facing similar pressures to Hoover City Schools, who tried but failed to implement a system of charging for buses and what impact that had on their student enrollment. Stay tuned. There is much more to come. Here’s some context on bus fees as public education user fees, here’s a post I wrote back in December after the Hoover board rescinded their decision to eliminate buses (yes, that’s a double-negative, but that’s the way it happened). Am I misremembering that AC said he had been discussing the issue with the state BOE? Sounds like it’s all news to them. I used to be very happy to find this internet-site.I wished to thanks on your time for this glorious read!! I definitely having fun with each little bit of it and I’ve you bookmarked to take a look at new stuff you weblog post. I’m impressed, I need to say. Actually rarely do I encounter a weblog that’s each educative and entertaining, and let me inform you, you could have hit the nail on the head. Your idea is excellent; the difficulty is something that not sufficient individuals are talking intelligently about. I’m very joyful that I stumbled across this in my search for something referring to this. Am I misremembering that AC said he had been discussing the issue with the state BOE? Sounds like it's all news to them.